Our range of products include kingston datatraveler 106 usb pen drive, sony usm16gr usb datatraveler, hp v232w usb 2.0 pen drive, sandisk cruzer blade usb flash drive and sandisk dual usb drive. 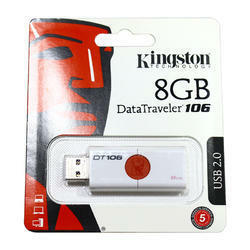 Kingston’s DataTraveler® 106 (DT106) USB Flash drive is stylish step into the world of USB 3.01It can take advantage of USB 3.0 technology in newer notebooks, desktop PCs and digital devices. With DT106, storing and transferring documents, presentations, music, video and more is easier than ever.DT106 features a gloss black finish with a cost-effective design to make adding to the USB 3.0 experience a minimal investment. Available in capacities from 16GB–256GB2DT106 is backward compatible with USB 2.0 and has a five-year warranty. 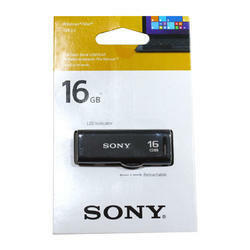 Lightweight and portable, this Sony USM16GR USB Datatraveler features a retractable design. This USB 2.0 Pen Drive is ideal for regular use and can be carried in pocket or bag minus any hassle. 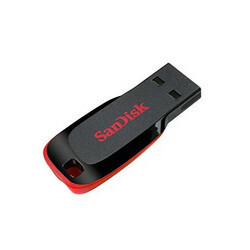 This SanDisk Cruzer Blade USB Flash Drive is easy to carry and has a superior storage capacity. Get up to 128 GB* of reliable and secure storage for photos, videos, music and other files. The included SanDisk SecureAccess™ software† provides password protection and 128-bit file encryption to keep private files secure while leaving the rest of the drive available for sharing. Enjoy peace of mind with SanDisk USB flash drives. Secure storage meets simplicity with the Cruzer Glide™ USB flash drive. Easily password-protect your private files while allowing access to the files you want to share with the included SanDisk SecureAccess™ software†. 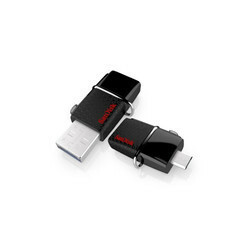 This SanDisk Dual USB Drive, engineered using the latest technology, has a fast data transferring speed.